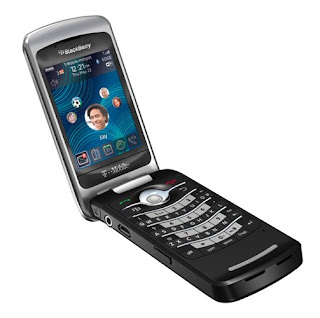 People are waiting for the first BlackBerry flip phone. So, here it is. BlackBerry Pearl Flip 8220 smartphone is now available in the U.S. for a price of $149.99 (on a two-year contract), exclusively from T-Mobile. Available at launch is the black color; red is planned to be available in the coming weeks. Report: The new BlackBerry Pearl Flip smartphone maintains the popular features and benefits of the BlackBerry Pearl; plus it packs numerous enhancements into the sleek and popular flip design. The spacious keyboard allows easy typing and dialing while the flip design helps protect the large, vibrant internal screen and provides the satisfying finality of ending a call by closing the phone. Customers will also appreciate the external display for previewing calendar reminders, e-mail, text messages and phone calls at a glance. You can have your own BlackBerry Pearl Flip by visiting T-Mobile retail stores or online.